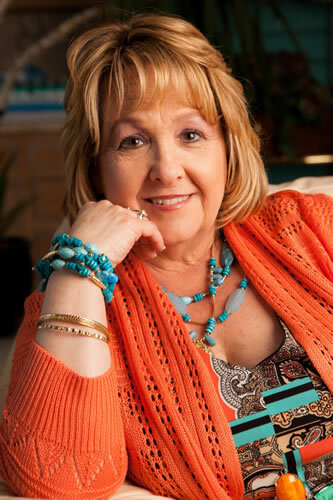 Bev McCann is not only a singer, songwriter, ordained minister and speaker, she is a leader in the Christian Country and Gospel Music industry. Moreover, she is a wife, mother of four children and nine grandchildren, soon to be ten. Bev also is the co-producer of the Music City Show that airs weekly on RFD-TV and a few other networks. November 2014 brought a new dimension to Bev's ministry, Bev McCann and Friends. Keep your eyes and ears open, and look for more information here to see what will be going on with Bev McCann and Friends! Bev is thrilled that she has been nominated in the USAGEM Awards as a top five nominee for the Female Vocalist of the Year award. She has also been nominated in the top ten Female Vocalist of the Year in the Diamond Awards for several years. You can view some of Bev's videos on RFD-TV on the Brush Arbor show, YouTube and Family Friendly Entertainment (FFE) television shows. Bev has enjoyed singing and spreading the good news of Jesus Christ to thousands for over the past 20 years. You can find many of Bev's articles on Absolutely Gospelâs website and other media outlets as well. Bev is on the Board of Directors for the USAGEM and Music City Christian Fellowship organizations in the Nashville, Tennessee area. She participates in the Sunday Mornin' Country show, taped live at the Grand Ole' Opry every year during CMA Week in Nashville. Bev says, "It has been such a wonderful experience working for the Lord and being busy about the Master's business, seeing so many lives changed and healed by the Grace and Mercy of our wonderful God and Savior. I hope you enjoy the music that God has given me to share with you and that you are uplifted in your spirit and you find healing, joy and peace in the music that comes from my heart. Thank you for dropping by to find out a little bit more about me. I'd love to find out about you as well. Send me an email so I have the same chance. Thank you and God Bless." If you are looking for inspirational and uplifting music delivered through a powerful ministry, contact Bev today to bring her as a soloist, or to bring Bev McCann and Friends to your next ministry event! Her information is at the top of this screen!